Format: Interactive online course with discussion. Total of 6 hours of instruction. Creating SIS, SIR, and SIRS models using data that may be easily accessible to clinicians and public health professionals. REQUIREMENTS: Prior successful completion of an introductory-level course in epidemiology as well as prior successful completion of an introductory course in differential calculus would be useful. The participant should have access to a computer, MS Excel software, reliable Internet connection, and headset or microphone and speakers or telephone. MATERIALS: Presentation slides and other materials will be sent via to all course registrants at least 24 hours prior to the course. Discounts available for groups of 5 or more. Please contact secretariat@cseb.ca before February 5th for more details. Payment must be received in full via PayPal to complete registration. THE REGISTRATION DEADLINE WAS FEBRUARY 5, 2015 BY 5PM EST. 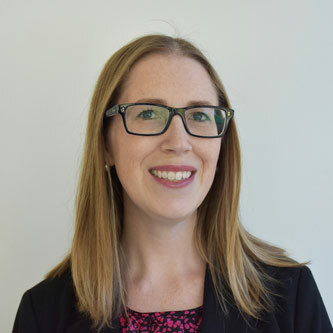 INSTRUCTOR BIOGRAPHY: Amy Greer is a Tier 2 Canada Research Chair in Population Disease Modeling and Assistant Professor in the Department of Population Medicine, Ontario Veterinary College at the University of Guelph. She is also the co-director of the Decision Centre for Infectious Disease Epidemiology (DeCIDE) at the University of Toronto. Dr. Greer has previously held scientific positions in the Centre for Communicable Diseases and Infection Control at the Public Health Agency of Canada and the Dalla Lana School of Public Health at the University of Toronto. She completed her postdoctoral training at the Hospital for Sick Children in Toronto. Dr. Greer’s research program explores the introduction, spread, dynamics, and control of infectious diseases in populations. She integrates empirical data with mathematical models to test the mechanisms leading to the epidemic spread of pathogens and identify optimal intervention and control strategies. Her research aims to examine the effectiveness and cost-effectiveness of both public health and veterinary health interventions in order to make informed decisions regarding public health policy. Please contact the course coordinator Dr. James Valcour at James.Valcour@med.mun.ca.